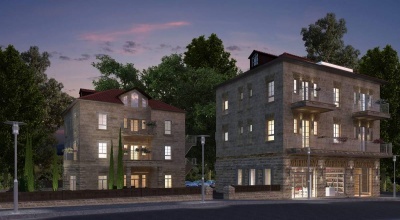 Gorgeous two-story garden apartment (204+190) close to Mesila Park ! 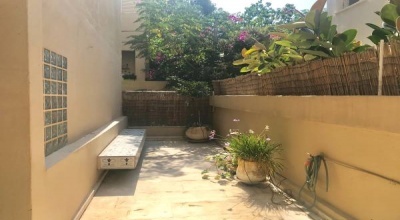 (Baka) Located on the ground floor of a preserved Arab-style building in central Baka, within walking distance of Mesila Park and the trendy Emek Refaim St.
Gorgeous 6 room garden apartment w/ parking close to Azza St. ! 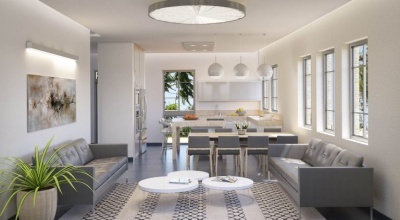 (Rechavia) Located on the ground floor of a boutique building in the heart of Rechavia, within walking distance of Azza St. 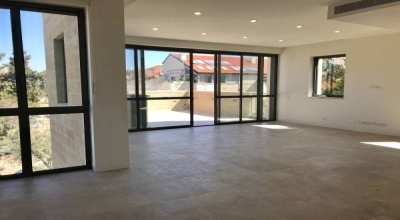 Brand new 4 room apartment with balcony in boutique building ! (Rechavia) Located on the 2nd floor of a boutique building in the heart of Rechavia, within walking distance of Azza St. Exquisite fully furnished 2 room apartment in boutique building ! (Rechavia) Located on the 1st floor of a boutique building in the heart of Rechavia, within walking distance of Azza St., this brand new and fully furnished 2 room apartment features a living-room with exit to a small balcony overlooking greenery, one bedroom, a shower room and a smart open kitchen. 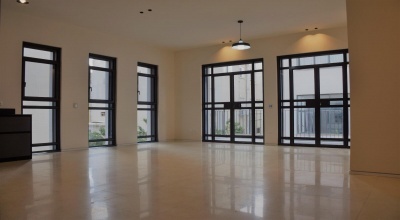 Magnificent fully furnished penthouse in luxury tower on Rothschild ! Gorgeous 3 room apartment (130+23) with balcony in historic building ! Gorgeous 3 room apartment (130+23) with balcony in historic building ! 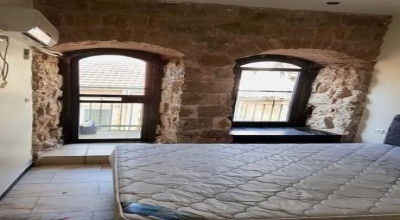 (German Colony) Located in a newly-restored historic building in the German Colony, within walking distance of Mesila Park and the trendy Emek Refaim St. Stunning 5 room apartment (165+19) in preserved building with parking! Stunning 5 room apartment (165+19) in preserved building with parking! 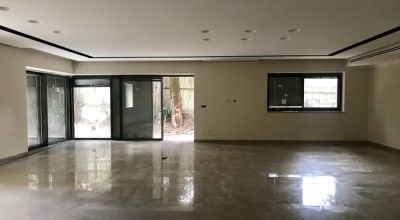 (German Colony) Located in a newly-restored historic building in the German Colony, within walking distance of Mesila Park and the trendy Emek Refaim St. Magnificent historic private villa with 500 sqm surrounding garden ! 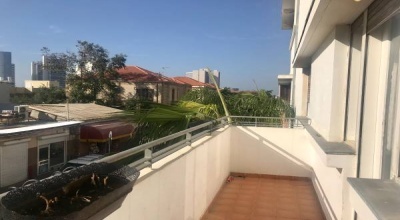 (German Colony) Located in a newly-restored historic building in the German Colony, within walking distance of Mesila Park and the trendy Emek Refaim St.
Gorgeous fully furnished 3 room apartment w/ balcony by the beach ! 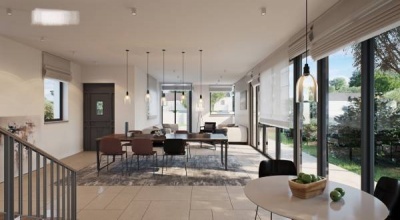 (Neve Tsedek) Located on the 1st floor of a preserved and renovated Bauhaus building in the heart of Neve Tsedek, the city's most fashionable and picturesque neighborhood, within walking distance of the beach, boulevard Rothschild, Hacarmel market and Shabazi St. 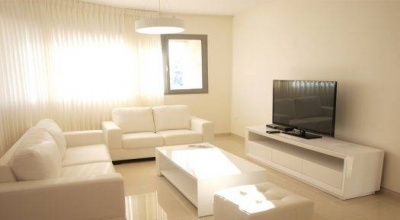 Brand new fully furnished 2 room apartment close to Machane Yehuda ! Located in the prestigious J Tower project, in the heart of the city center, within walking distance of the colourful Machane Yehuda marketplace and the light railway train, this brand new 2 room apartment features a living-room with a beautiful open kitchen, one bedroom, a bathroom, television, A/C and underfloor heating. 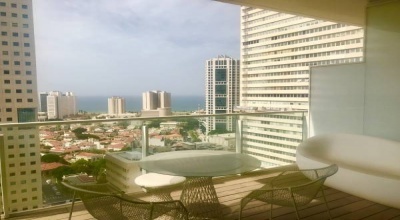 Fully furnished all inclusive apartment w/ balcony by the beach ! 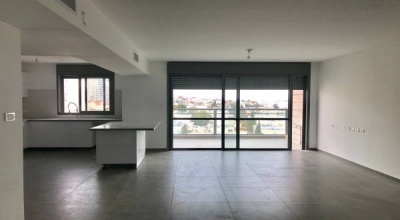 (Old North) Located on the 1st floor of a classic building with elevator in the Old North neighborhood, within walking distance of Gordon beach, Tel Aviv Port and Dizengof St. 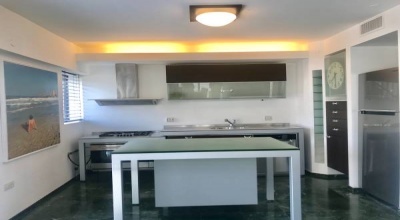 Exquisite fully furnished all inclusive 2 room apartment ! 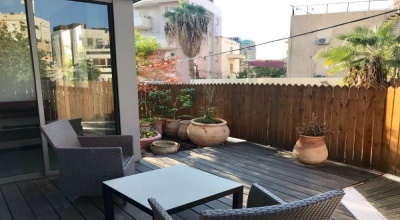 (Old North) Located on the 1st floor of a classic building on a quiet street of the Old North neighborhood, within walking distance of the beach, Tel Aviv Port and the trendy Dizengof St. 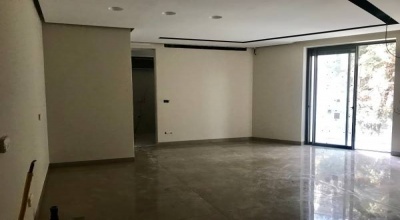 Spacious fully furnished all inclusive 2 room apartment on Dizengof St (Old North) Located on the 1st floor of a classic building with elevator in the Old North neighborhood, on the trendy Dizengof St. Exquisite fully furnished all inclusive 2 room apartment w/ balcony ! Exquisite fully furnished all inclusive 2 room apartment w/ balcony ! 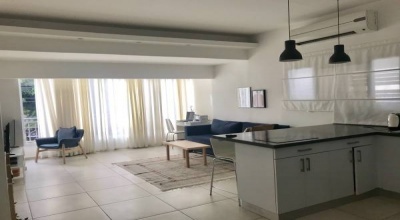 (Old North) Located on the 3rd floor of a classic building with elevator in the Old North neighborhood, within walking distance of Hilton beach, Tel Aviv Port and the trendy Dizengof St. 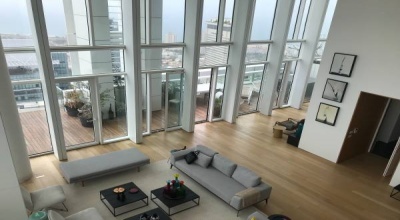 Exclusive apartment (195+22) w/ sea view living-room in luxury tower ! 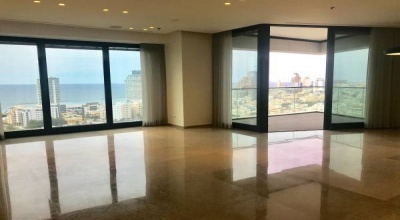 Exclusive apartment (195+22) w/ sea view living-room in luxury tower ! 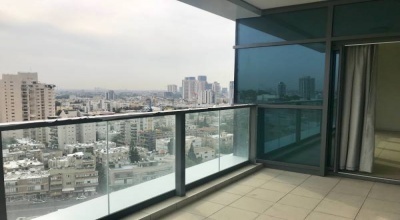 (Neve Tsedek) Located on the 17th floor of a luxury tower in the heart of Neve Tsedek, the city's most fashionable and picturesque neighborhood, within walking distance of the beach, Boulevard Rothschild, Hacarmel market and Shabazi St. 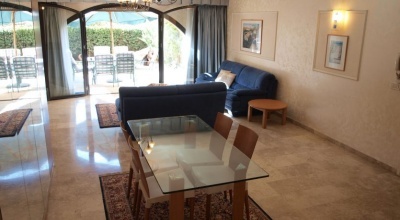 Exquisite furnished 2 room apartment w/ balcony close to Ben Yehuda ! Exquisite fully furnished 2.5 room apartment in boutique building ! (Heart of North Tel Aviv) Located on the 3rd floor of a modern building with pool, spa and gym in the heart of North Tel Aviv, the city's most exclusive neighborhood, within walking distance of Sheinkin, Alenby, boulevard Rothschild and Nachalat Binyamin, this beautifully designed and fully furnished 2. 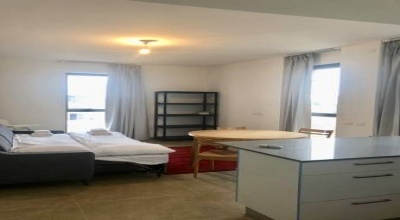 Gorgeous fully furnished 3 room apartment w/ balcony close to Alenby ! 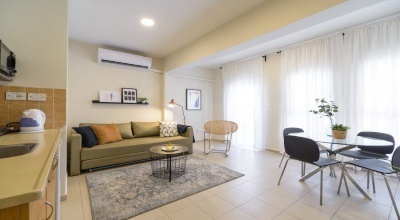 Located on the 1st floor of an historic building in the heart of North Tel Aviv, within walking distance of Alenby, Hakarmel Market, Sheinkin, boulevard Rothschild and Nachalat Binyamin, this beautifully designed and fully furnished 3 room apartment features a very spacious living-room with exit to an exquisite 20 sqm balcony, 2 large bedrooms with exit to balcony, a smart dressing, 1. 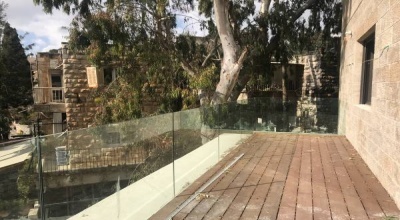 Located on the ground floor with a private entrance in the heart of Neve Tsedek, the city's most fashionable and picturesque neighborhood, within walking distance of the beach, Rothschild boulevard, Hacarmel market and Shabazi St. 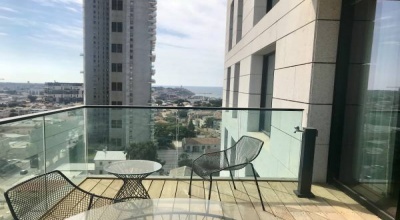 Fully furnished apartment (120+11) w/ sea view in luxury tower ! (Neve Tsedek) Located on the 15th floor of an exclusive tower in the heart of Neve Tsedek, the city's most fashionable and picturesque neighborhood, within walking distance of the beach, boulevard Rothschild, Hacarmel market and Shabazi St.
Gorgeous fully furnished apartment (97+14) in luxury tower with pool ! 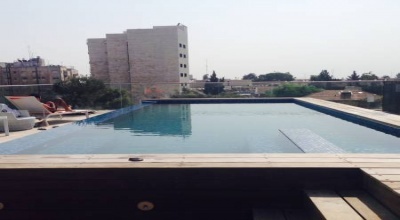 Gorgeous fully furnished apartment (97+14) in luxury tower with pool ! 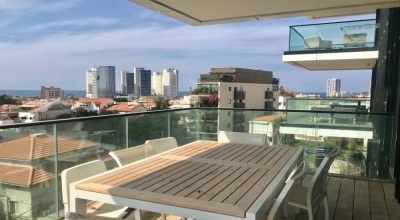 (Neve Tsedek) Located on the 6th floor of an exclusive tower in the heart of Neve Tsedek, the city's most fashionable and picturesque neighborhood, within walking distance of the beach, boulevard Rothschild, Hacarmel market and Shabazi St. 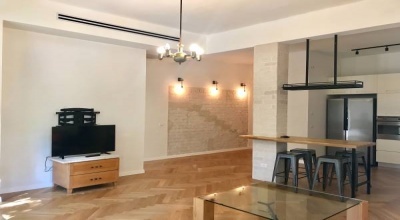 Located on the 3rd floor of a boutique building in the heart of the city center, within walking distance of the Great Synagogue, this newly-renovated 2 room apartment features a living-room with exit to a lovely balcony, one secure bedroom, a shower room and a smart open kitchen. 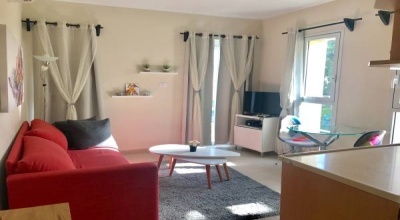 Fully furnished including electric appliances, window curtains and lighting. Central A/C and alarm system.